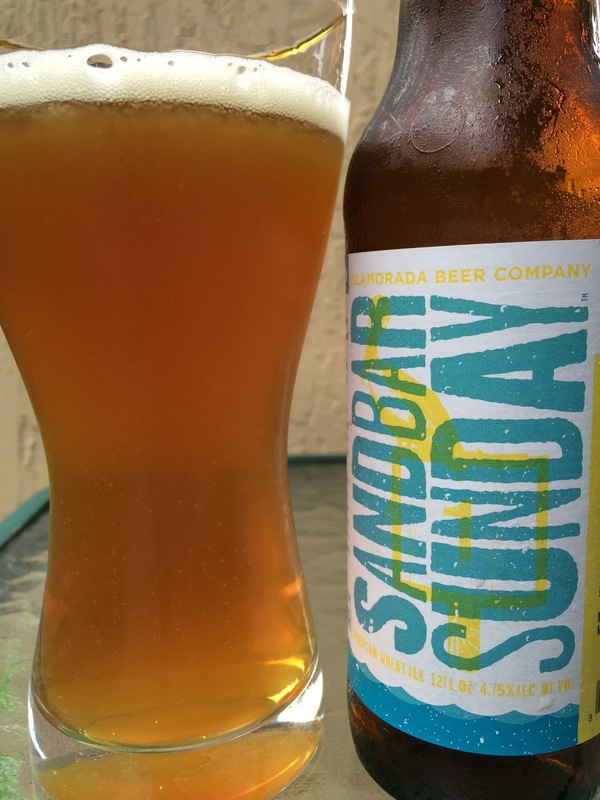 Today I'm checking out Sandbar Sunday, and American Wheat Ale brewed by Islamorada Beer Company in Islamorada, Florida. I tried this for the first time at last year's Grovetoberfest but remembering is difficult with that many samples. The story on the side of the label lets you know that Islamorada is an island on the Overseas Highway between Miami and Key West. They are known for watersports, drinking beer and a famous sandbar. 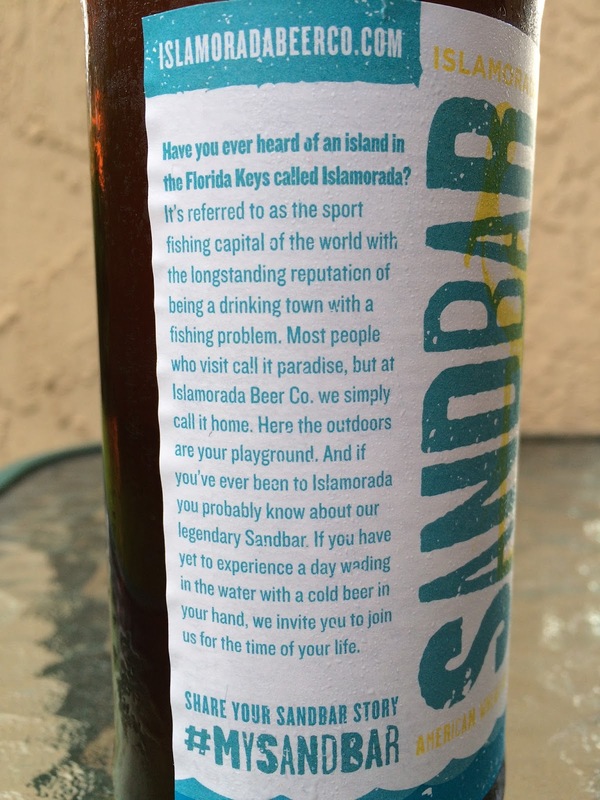 They encourage you to share your sandbar story #MYSANDBAR 4.75% alcohol. Light wheat and fruit aroma, lots of malty sweetness. The flavors follow with tons of sweet caramel and honey plus an unmistakable herbal tea component. A little toasted and buttered bread comes next with just the faintest of hoppy bitterness trying to balance the sweetness. Never got there though. This beer was just too sweet and the building and lingering herbal flavors were not great. Just so-so. I'd say it needs a lot of bitter crispness and even a swing past neutral to that side. And some wheaty tanginess would be awesome.